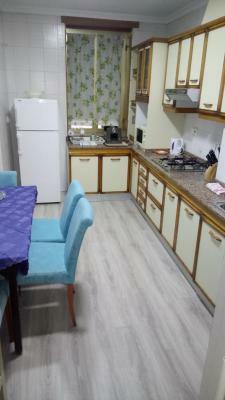 Lock in a great price for Guesthouse Alicante (PENSION CON ENCANTO) – rated 9 by recent guests! Convenient and cosy hotel situated between the shopping district and restaurant area. Easy to reach and very amiable host. Very good location. Clean house. The owner is very helpful. The guesthouse is in a very good location at the city centre of Alicante, near the train station, the Central Market and the bus to the Airport. Antonio was a very good welcoming man, I will come back once in Alicante for sure. Thank you Antonio!! Gentleman at guest house was lovely and helpful couldn’t have been more helpful. The location was excellent, the room very clean and newly decorated. The only problem was that it was on the small side but other than that, great for a quick stop over. The owner was very kind. 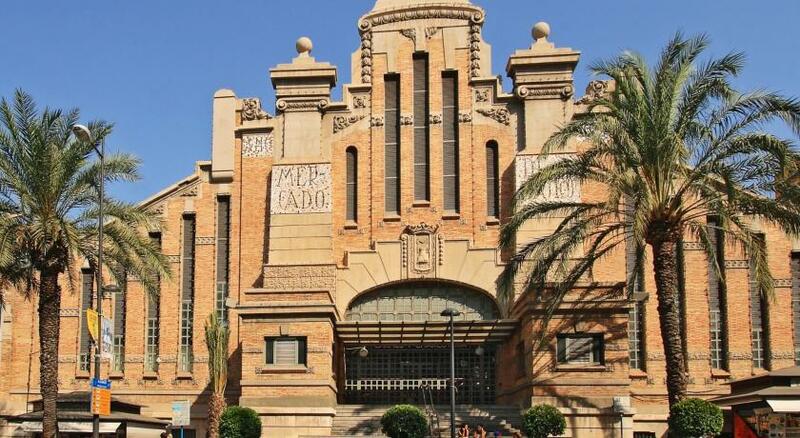 Located next to Alicante’s main shopping streets, Guest house Alicante is 650 feet from Plaza de los Luceros. Each air-conditioned room includes a fridge, tea and coffee-making facilities and free Wi-Fi. The Alicante Guest house’s functional rooms are decorated with bright colors. They all have a flat-screen TV, and a private bathroom with a hairdryer and bathrobes. 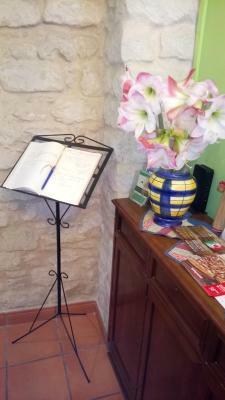 The guest house’s tour desk can provide information about the Costa Blanca region and can organize car hire. Alicante Train and Bus Stations can be reached within 15 minutes on foot. Guest House Alicante is around 2,950 feet from Alicante Harbor, and within a 15-minute walk of Santa Barbara Castle and Alicante Beach. Alicante Airport is around 7.5 mi away. 뀐 Located in the top-rated area in Alicante, this property has an excellent location score of 9.3! When would you like to stay at Guesthouse Alicante (PENSION CON ENCANTO)? This air-conditioned room features an LCD TV. It also comes with a Nespresso coffee machine, free coffee and tea and a microwave. This air-conditioned room features an LCD TV. It also comes with a Nespresso coffee machine, free tea and a microwave. 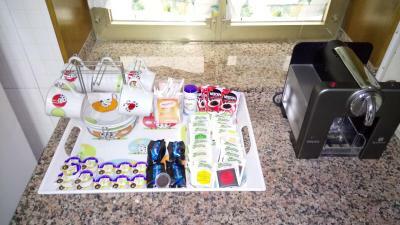 This air-conditioned room features an LCD TV, a Nespresso coffee machine and free coffee and tea. Its 2 balconies offer street views. House Rules Guesthouse Alicante (PENSION CON ENCANTO) takes special requests – add in the next step! Guesthouse Alicante (PENSION CON ENCANTO) accepts these cards and reserves the right to temporarily hold an amount prior to arrival. Guests need be quiet between 10:00 PM and 12:00 PM. Guests are kindly requested to inform the guesthouse at least 1 day in advance of their estimated time of arrival. This can be noted in the Comments Box during booking or by contacting the property using the contact details found in the booking confirmation. An air condition didn't work in the room at winter time, and the room was pretty cold. The space heater has a noisy fan and it was inconvenient to use it during the night. The only thing I could fault was the size of the room. Lots of noise in the morning. Someone banged on my door at 9am- I have no idea if it was a guest or the owner but they then said it was a mistake OK, mistakes happen. But then, I started hearing loud noises below- dishes and other things. Again, I'm not sure if this was from guests or the owner, but it was quite disturbing and interrupted my sleep. There wasn’t anything that we didn’t like. The owner has been very nice, friendly and helpful. We got a free upgrade to a bigger apartment. The room did not have a window, which was not great. The room was clean and there were good facilities for self catering: microwave, kettle, coffee maker. The location was good, close to many good restaurants and sightseeing locations. The airconditioning was very good.